The VisitLethbridge.com Patio is a great option on a warm summer night. 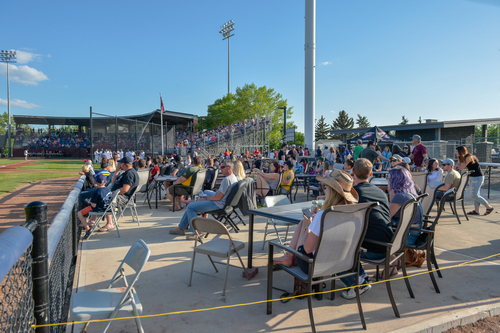 Located on the third base side of Spitz Stadium, The Patio can accommodate anywhere from 12-175 people. Enjoy a beautiful summer evening from field level, fully protected from foul balls. Positioned right next to the Lethbridge Bulls home dugout, don't miss out on a minute of the action with full service from your seat. Don't forget to grab an autograph following the game from the Bulls!